If you don’t wear blusher, have a quiet word with yourself please. Thanks. 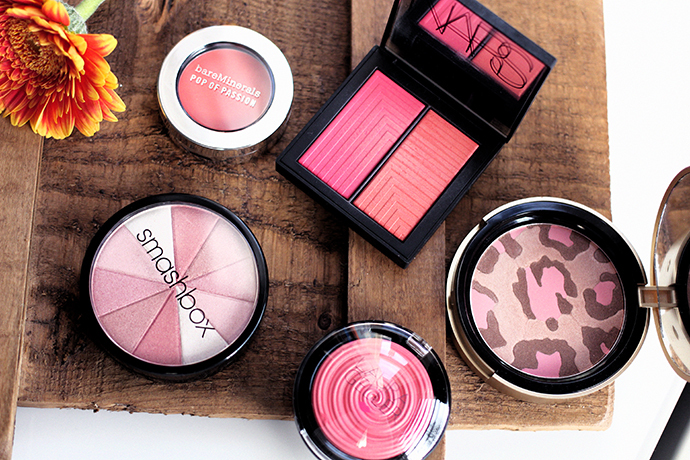 Blusher changes everything. When blush is applied in the wrong manner, you can look like a total fool, but if applied in the right way, in just the right amount necessary, you can be transformed from a tired zombie into a beautiful angelic soul. Not quite that dramatic, but it really makes a difference. 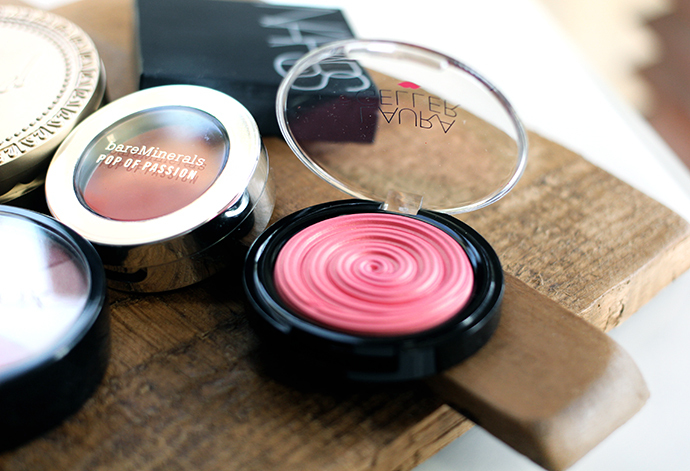 I have so many different blushers but I thought I would compile some of my favourites for you to have a nosey at today. Seeing as I featured the Nars Dual Intensity Blush in my Top 15 Beauty Picks of 2015 of course I had to include it in this post too. I have been using Panic probably the most out of all the shades I have from the Nars range. It looks really bright in the palette but is much more subtle on the skin and gives a gorgeous from within the skin glow too. I tend to swirl my brush around both of the colours rather than picking one over the other. Every now and then I like to play with a cream blush and my favourite formula comes from bareMinerals, the Pop of Passion blushers are just beautiful and Papaya Passion is a stunning coral shade that just looks lovely no matter what. It is super quick and easy to apply and is one that I carry in my hand bag if I ever need to touch up on the go. A new brand that I have discovered recently is Laura Geller and this just looks super pretty, the Baked Gelato Wild Swirl Blush is such a gorgeous formula, it feels really buttery on the skin even though it is a powder. I have the shade Rosewater. I think you have probably guessed by now that I tend to go for pinks and corals over anything else. Being quite fair I enjoy playing up my cheeks to add more depth and colour. Too Faced are a brand that holds a big soft spot with me, I just love every product they ever do and I am a big fan of their blushers and bronzers. The Pink Leopard blushing bronzer gives me both warmth and colour and I use this on a regular basis. Plus, just how awesome is that print??? It took me ages to brave using it as I did not want to disturb the palette. 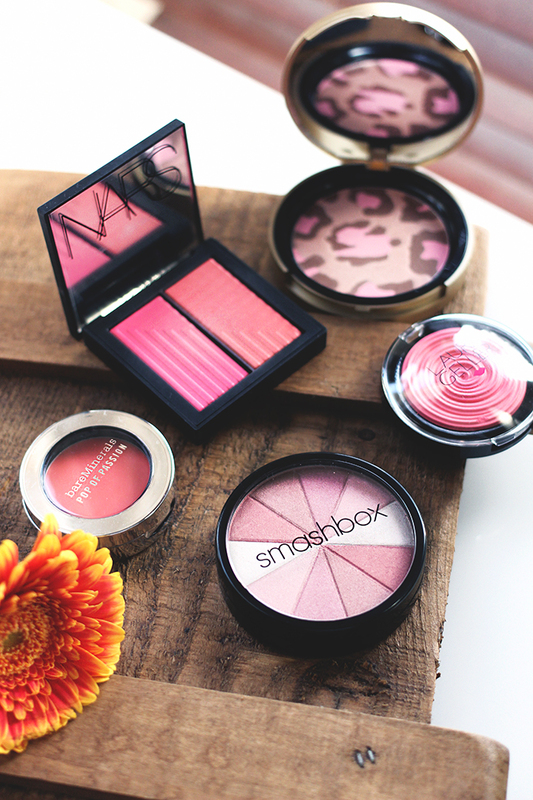 Last but not least, Smashbox Fusion Soft Lights Baked Starblush is both a highlighter and blusher in one. 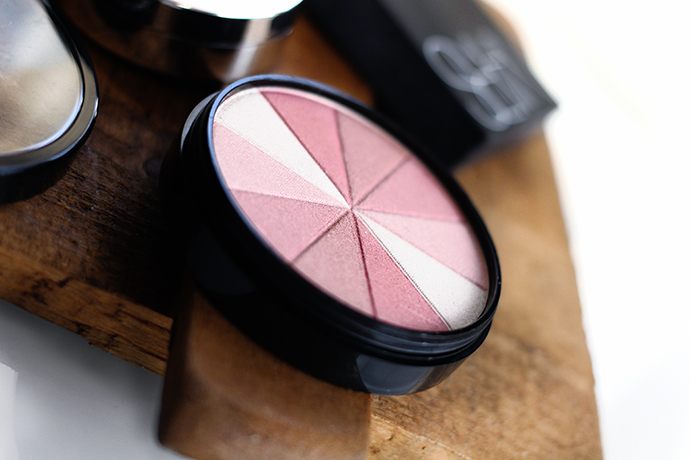 This gives a really delicate pink glow to my skin and I forget just how great the finish is. I must use this fella more. What are your favourite blushers? Hit me up with your recommendations!